A study published today finds that the UK soft drink levy being introduced in 2017 is likely to benefit health (reduced obesity, diabetes and dental caries) – when considering a range of different Drinks Industry responses. In this Blog we comment on these results and the possible implications for countries like New Zealand. Before Brexit, the Cameron Government in the UK announced it was taking obesity seriously – well, they at least decided to introduce a levy on sugar-sweetened beverages (SSBs). Post-Brexit, the Brits are pushing ahead with the levy, and it is now out for public consultation. 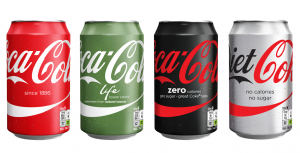 0% for low sugar drinks such as Diet Coke. Or some combination of a, b and c – possibly, the most likely strategy. So what impact might this levy actually have on public health? A paper published today in the journal Lancet Public Health (including one of us [TB] as a co-author; press release here) addresses just this question by modelling how the levy may play out through the three options (a, b and c). There are many uncertainties in doing this type of modelling, but, in our view, it is necessary to provide planners and policy-makers with best estimates of the likely health impacts. And it allows us to consider uncertainty – which is always large when consider a new policy (though there is huge international experience with other types of taxes). What did the study find? Interestingly, product reformulation (“b” above, assuming a best-case scenario of 30% reduction in sugar concentration in high-sugar drinks and 15% for mid-sugar drinks) shows the greatest impact. That is in terms of reduction in obesity, diabetes and decayed missing or filled teeth rates. For example, a 0.9% reduction in obesity rates (95% uncertainty interval 0.03% to 1.9%) across all ages, but an approximately 10% reduction in obesity rates for 4 to 10 year old children. The price increase (“a” above; assuming 100% tax-pass-through to prices by category, the expected consumer change in demand and consumption, but no supply side response like reformulation above) generates about half the health gains for reformulation above. And the change in market share (“c” above; 12 percentage point reduction in high-sugar market share, and 6 percentage point increase in both mid- and low-sugar market share, where 12/6 percentage points would be required for the Industry to achieve its pledge to reduce energy intake from by 20% from 2015 to 2020) generates about the same gains as the price increase mechanism (“a”). Rankings of these three mechanisms was the same for the other health outcomes of diabetes and decayed missing or filled teeth rates. Unsurprisingly, if the Drinks Industry just bundled up the levy and passed it on evenly across all levels of sugary drinks, the health benefits would be less. Perhaps also unsurprisingly, the full health gains of the policy are likely to be greater than just the short-run impacts on obesity, diabetes and oral health. So the actual health benefits would probably be greater than modelled in this study and include long-run benefits on reducing cardiovascular disease, some cancers and arthritis. There might also be benefits to child mental health given how obesity can impact on psychologically. What might these results mean for other countries like New Zealand? Governments could consider this new study, the information collected during the UK’s consultation process on the levy, and on the early responses by the UK Drinks Industry (as the article details – some companies have already announced reformulation plans). But they also need to keep an eye on the evidence emerging from other approaches to SSB taxes in Mexico, various US cities, and Pacific Island nations. A straight excise tax on SSBs will almost certainly generate good health gains, but this paper suggests that the UK levy approach is an alternative that may open up more opportunity for product reformulation (although reformulation would still – presumably – occur with a ‘straight excise tax’). In summary, this new study adds to the growing body of evidence that fiscal policy tools applied to SSBs may benefit health, particularly child health, and may save costs for health systems. Governments have a range of fiscal policy options to choose from. And there is high certainty that taxes or levies on SSBs will generate heath gain, albeit uncertainty about the actual magnitude of health gain. Wishful thinking is not evidence. So if the tax is fully passed on to the consumers, you’ve assumed that the demand for soft drinks is perfectly inelastic. If the demand is perfectly inelastic, then there will be no change in quantity demanded. But then you predict quantity demanded changes. You’ll understand this logic doesn’t persuade me there is high certainty taxes on SSBs will generate health gains. For which class of people will reduced obesity have the greatest public health impact, and how do you know that? What does this class of people eat or drink to excess that strongly influences their obesity, and how do you know that? What are all the ways you have considered to reduce this consumption, and thereby their obesity, and how did you evaluate each alternative? Or, given that Coca-cola, Pepsi-cola and Schweppes are all US-owned, have you inadvertently jumped onto an anti-American bandwagon because it appears to have some relevance to your academic area?